Size of this preview: 615 × 599 pixels. Other resolutions: 246 × 240 pixels | 1,500 × 1,462 pixels. 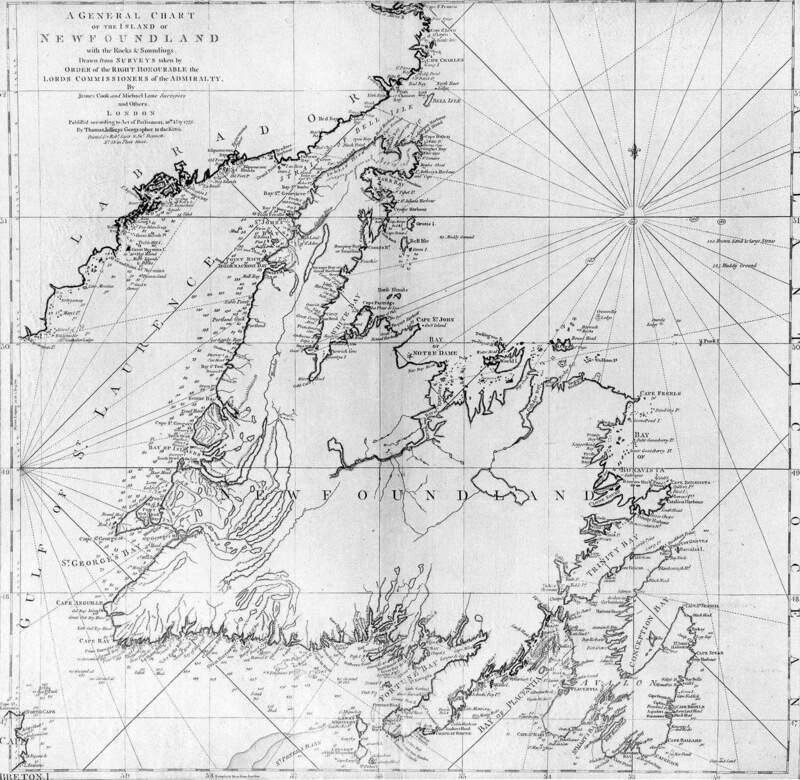 Description: A general chart of the island of Newfoundland. 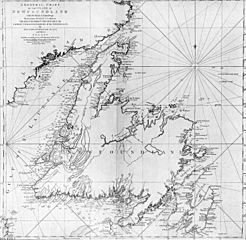 Surveyed by James Cook and Michael Lane, and "publish'd according to Act of Parliament by Thomas Jefferys Geographer to the King, 1775." Credit: originally uploaded to en.wikipedia by Jcmurphy on 23 Apr 2005; copied from "Courtesy of the Centre for Newfoundland Studies, Memorial University of Newfoundland, St. John's, Newfoundland." This page was last modified on 27 November 2017, at 13:46.